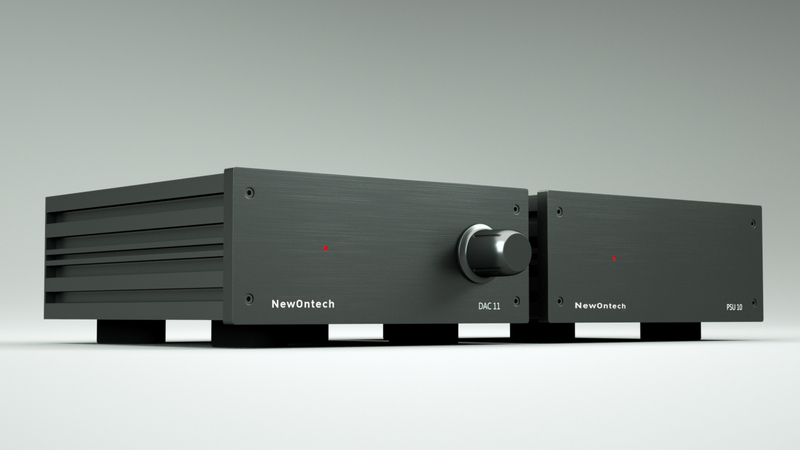 The DAC 11 is a step up from it’s little brother, the DAC 06. The focus has been on developing the soundstage even further giving you a better natural and dynamic sound. The amount of detail is also better through the entire frequency range. This is a high-end DAC and the proof is in the sound you hear. The difference between the DAC 06 and DAC 11 is that you need the PSU 11 to supply power to the DAC 11. You can also buy the CAP 10 as an option to further enhance the sound stage from the DAC 11. We invite you to come and listen to the DAC 11…It brings life into music! This converter is based on the Burr Brown DAC chip DSD1792. This is a DAC chip designed for high end applications. The Receiver is a Crystal CS8416, which can handle up to 8 inputs, although in this construction only four is used. The power supply is based on high quality regulators LT317 / LT337 for the analogue section, and LP2951 for the digital section. The construction is fed from four different windings from a well over-dimensioned transformer. And six different supplies are included on the PCB giving a clean and stable supply for each circuit. The output stage is made of the LM6172 op-amp, which is a very high slew rate / bandwidth amplifier. The PCB is specially made for audio, and has been manufactured using a specially plating process. This process is usually reserved for Space applications. The process gives a very fine and compact cobber structure. Every board is hand soldered to insure a strong and lasting connection. And different types of solder are used for the analogue and digital parts. For the analogue section a special clean tin is used, this is an ESA / Space approved tin. This is new tin and not reused tin as in most ordinary solder wire.